The Swedish Match Company, who also makes White Owl cigars manufactures Jackpot Cigarillos. These cigars bear the same premium quality and consistency of tobacco as the White Owl Cigars but are priced to be more affordable. 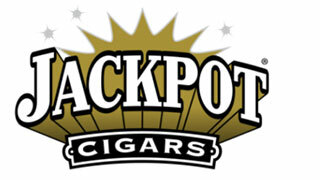 With a myriad of flavors like Mango, Pineapple, Watermelon and Blueberry, Jackpot has a cigar for every cigar lover. These cigars are mild with an easy drag and you are bound to love their flavorful taste on the palate. Being pocket-friendly and mellow, these cigars are great for an everyday smoke. Every occasion is fun with the glorious taste and delectable aroma of Jackpot cigars. The cigars are concocted with a blend of premium quality tobacco leaves that bring a certain authenticity to the smoke and flavor. A natural wrapper is employed as the outermost layer and ensures a balance in the flavor profile and also provides texture smoothness. These flavorsome cigars come in an upright box containing 15 foil pouches. These foil pouches are resealable and keep the cigars fresh for you, anywhere, anytime. The exquisite construction and impeccable flavor of these cigars can be experienced with every drag and you take. The cigarillos have been popular for a long time now and their generic counterparts have been introduced, to cater to the growing demands at economical prices. Swedish Match uses the same premium tobacco for both its leading products so try a Jackpot Cigarillo today.